RESCUED ♥️♥️Redumped on 3/11‼️Missy needs out of the shelter NOW! Please share & repost her story to give Missy the voice she deserves!! 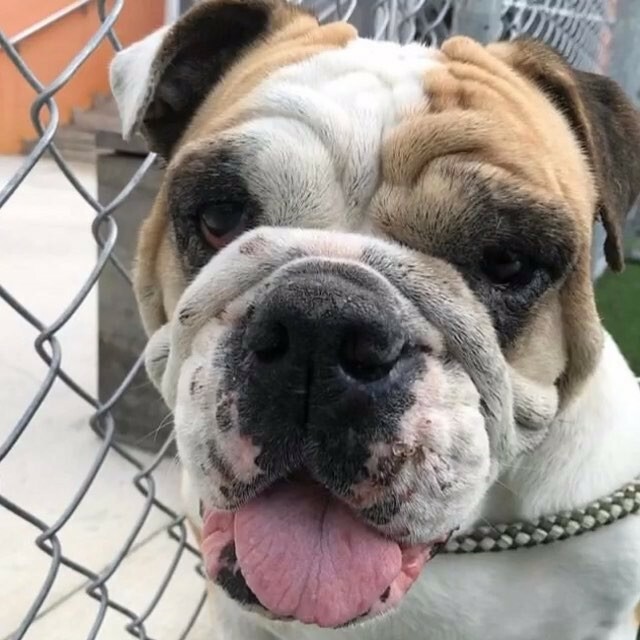 Missy is an 8 YEAR old female, English Bulldog with the biggest heart!!! I can’t even begin to tell you how sweet this dog is despite the fact that she seems to be going blind in both of her eyes!! It is very difficult for her to navigate, as well as trust!! Missy needs A HERO to come save her life! The conditions are too bad at the shelter for a dog like Missy! This literally breaks my heart 💔 As I left her behind her cage bars, she cried and cried until I came back and would check on her every once in awhile. Someone please help 😭 Missy #A1380272 @mdas_miamidade .